livability: (livable) fit or suitable to live in or with; “livable conditions”. “Livability” has been a buzz word in city development for some time, and for good reason, as who doesn’t want livability, outside the zombie cohort? Things get hairy, though, when “livability”—as an economic development strategy—gets unpacked, because questions arise: “Livability” for whom? “Livability” at what cost? Making a city “livable” these days largely means appealing to a select group of folks so as to form “an attractive economic place”. This notion of “livability” really came on in the late 1980’s, and was done under the presumption that certain cities offered higher quality of life, read: better lifestyles. For instance, in 1989 geographer David Harvey wrote that cities need to “keep ahead of the game [by] engendering leap-frogging innovations in life-styles, cultural forms, products, and service mixes…if they are to survive.” This was a radical departure from previous societal efforts to make quality of life a priority (think: pollution remediation) in that “life” was swapped out for “lifestyle”. You could argue, then, that the original sin of “livability”-driven economic development begins right there. Namely, the emphasis will not be on the people of a city, but on potential consumers, particularly high-valued consumers with means, subsequently referred to as the “creative class”. As for creative class wants? They are, according to Richard Florida, “[an] indigenous street-level culture – a teeming blend of cafes, sidewalk musicians, and small galleries and bistros…” In this sense, the idea of “livability” gets precariously slimmed out. Nonetheless, this thinking has penetrated mainstream economic development, with cities attempting to one-up each other in their want to attract a slice of the “livability” electorate. The consequences have become predictable: more comfort for some, less comfort for most. Perhaps the city most famous for livability-driven economic development is Portland. It is America’s amenity apex, and a recent study showed it attracts the young by the boatload due to a certain leisure-lifestyle it affords. For example, from a recent article entitled “(P)retirement’s new frontier”, the author interviews a 36-year old who is “underemployed on purpose”, as well as a couple who quit their jobs in Austin, sold their car, and have backyard chickens, yet now feel “much richer”. Such folks are referred to by economist Joe Cortright as “lifestyle entrepreneurs”. Part of this entrepreneurial output, touched on in the article, is a website called Badass that rates Portland neighborhoods for amenities like pinball machines, food carts, and access to bike lanes. At times the article reads like Portland was dreamed up by Willy Wonka. The Chocolate Room is designed to look like an outdoor landscape complete with trees, flowers and a waterfall, but Wonka has made the entire scene out of candy and chocolate. Charlie and the other children see some doll-sized human beings in the Chocolate Room, and Wonka explains they are Oompa-Loompas whom he saved from the dangerous country of Loompaland. The Oompa-Loompas agreed to work for Wonka and live in his factory in exchange for a safe home and an endless supply of their favorite food, cacao beans. Coletta addressed the question of how ephemeral events can have lasting impacts in cities. “I think you can do temporality with regularity. Some temporary events are so powerful that they stay in the memory for a long time, and spark the imagination. But I would argue that now more than ever we need less fantasy in city building than we do reality—as reality can’t keep being handed off to folks who are unable to consume their way to imagining existence as anything but decidedly not livable. “Livability” backlashes are becoming increasingly common across the country. For instance, a piece in Crain’s Chicago questions whether Chicago’s catering to the global creative class is worth the debt it is incurring, and whether the split between the amenity-rich rich neighborhoods and the amenity-poor poor neighborhoods is worth the investment, particularly given the record levels of violence that is tearing parts of the city to pieces. And while Mayor Emanuel’s bike-pathing of the City moves forward because “he wants all of [Seattle's] bikers”, libraries are closing, red light cameras are ubiquitous, taxes are rising, and the city has a police manpower shortage of 1,000 that can’t be plugged because there’s no money. In fact things are so desperate that the City recently turned to Twitter to fight crime. In New York, the President of NYU is under a vote of no confidence for his plans to extend the creative classification of the campus into Greenwich Village. And while this has been ongoing—for instance, one commenter in the book “While We Were Sleeping: NYU and the Destruction of New York” states “There are days when I feel like I’m stranded in some upscale mall in Pasadena”—the recent city-sanctioned plan to bulldoze and “mix use” a residential neighborhood for “livability” purposes in order to “attract ambitious students and faculty to sustain the region’s economic base and quality of life” has pushed faculty and the community over the edge. There is a certain symmetry here: Richard Florida is joining NYU…at a moment when the University has begun responding to the forces that give rise to his most trenchant insights. With its tree-lined streets, bike paths and transit options, Portland is beautiful and very safe. But behind that facade, Portland is also a city of contradictions. These contradictions, according to the author, involve the discordance brewing between the poverty and “alarmingly large number of hypodermic needle” situation on one hand, and the topographical layering of that “everything is fine” sheen that remains intact for many coming to seek it. Last year, Portland’s own catalyst for economic change, the Portland Development Commission, warned that the city’s traditional focus on livability projects such as streetcars and housing had not delivered the job growth needed to stay competitive. That’s a strong statement considering that livability has become what largely defines Portland’s character. Taken together, perhaps it’s time for city leaders and citizens alike to take stock in how cities are being made, and for whom the making is focused. In fact maybe it’s time to drop the “livability” gimmicks that define Willy Wonka urbanism–or to squeeze “the style” out of “lifestyle” so as to expose the highest priority, the highest necessity: which is life. So, you wanna make your city “hot”? Then cook the irons of affordable housing, mobility, education, and solid jobs. 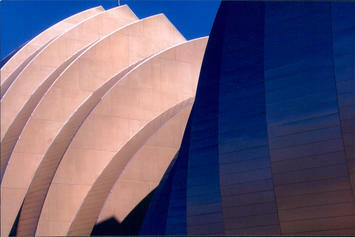 Kauffman Performing Arts Center photo by Bigstock. Submitted by Weedpuller on Wed, 01/09/2013 - 11:35. So much of it, just to avoid any mention of "work". Submitted by quangstar on Fri, 08/29/2014 - 02:12.
across the slope and career is hard to fill positions of power Costa.Kha Fabregas has been partly demonstrated in the M88 was the last game as Chelsea crest . In the most difficult moments, the 27-year-old opened up victory in the M88 team assists subtle and precise. After 2 games in the Premier League, Fabregas has 3 phases to create for teammates made ​​public. bike lanes can actually be useful. Submitted by doobie on Thu, 01/03/2013 - 12:21.
while it's true that many cities are seeing bike lanes as a means to get the coveted "creative class", however, for example, in Boston - the recent deployment of bike infrastructure is seen primarily as solving certain transit issues (specifically helping to relieve the overburdened and underfunded public transit system and bring better multi-mode transportation access more of the city). The first moves with bike infrastructure in Boston is a pretty striking contrast with Chicago - Emanuel put a separated line right downtown as some sort of symbol to the world (or, as you put it - the creative class), while Menino's office put one of the city's first lanes down blue hill ave - which is one of the more crime-ridden and poverty stricken corridors in the city. Submitted by Richey Piiparinen on Thu, 01/03/2013 - 17:34. Bike lanes can of course be created to develop people in places with less access to mobility. Here, the crux is what the motivation is behind the bike lanes (or any "livability" amenity for that matter). In Chicago's case it is clear as day since the mayor said it himself. He wants Seattle's bikers. Why not use the amenity where it is needed most for the Chicagoans already present? It is a fair question. Submitted by nickfalbo on Thu, 01/03/2013 - 14:32. This question is not fully answered in the editorial. The author questions the allocations of resources (in amenity-rich vs. amenity-poor neighborhoods), but also seems to question the value of the so-called creative class amenities at all, calling them "Willy Wonka" frivolity. When bikeways are brought into under-served, poor, communities of color, are we bringing positive amenities to this "amenity-poor" neighborhood? Or does it still miss the point, and maybe bike-lanes are not the amenity this neighborhood wants? Submitted by atb on Fri, 01/04/2013 - 09:19. So poor people don't ride bikes? That's news to me. People question relatively tiny investments in bike lanes but not huge ones in highways. Also, re: no amenities for the poor because it all goes to rich neighborhoods. This is clearly a problem, but do we have evidence or just supposition? Realistically, poor neighborhoods are not going to get all the amenities they want because then they would become rich neighborhoods due to market forces/gentrification. What I see is more neighborhoods rejecting investment precisely so they don't get pushed out. Also, at the end of the day if you don't have rich neighborhoods your city is likely to have revenue issues. Someone has to pay for all the amenities after all. DO poor people ride bikes? Prove it. Submitted by PhilBest on Wed, 01/09/2013 - 17:32. On observation, I would say that indeed, poor people do not ride bikes. I would like to see an authoritative study that shows otherwise. It is an urban legend in some cities, that on the day of the week that certain agencies pay out welfare recipients, the car parking at the welfare agency's location will be jammed solid with old banger cars. Plenty of people deliberately avoid going shopping or visiting the doctor or bank or whatever in these areas at these times. I think many agencies have ended up "streaming" the days on which the recipients are paid out, because this had become such a problem. And of course this is not a problem where the welfare recipients get paid by direct credit. But perhaps the working poor ride bikes? Again, I would like to see a study that proves this. The increase towards saturation, in total Vehicle Miles Traveled in first world countries, is strongly correlated to car use trickling down to lower and lower income groups. This is because the real cost of running an affordable used car has dropped considerably over the decades, thanks in large measure to Japanese-car reliability and longevity. The constraint of total VMT in first world countries like Germany, and their still-high ridership of mass Transit and indeed bicycles, has everything to do with the high cost of owning and using a car, thanks to punitive drivers license fees, punitive "safety" standards, and punitive petrol taxes - far higher than what is necessary to pay for all roads and correct for all externalities. A much higher proportion of people are simply priced out of "automobility". If we care about democracy and egalitarianism at all, we will prefer the outcomes in the USA, where poor people get equivalent mobility to the rich, rather than being excluded via a de facto regulatory imposed price rationing system. It is a little bit distasteful that the one-time country of racial purity, eugenics, selective breeding and the holocaust, is still so devoted to cold harsh economic efficiency, that it practices a form of eugenics by the back door, by pricing poorer people out of participation in the modern economy and access to modern amenities. Because of the way real estate markets price amenity value into property prices, poorer people in Germany even lack access to the very same mass Transit services that are allegedly for their benefit - the average income of riders on all forms of mass Transit in Germany is well above average. The "pricing out" effect even as regards mass Transit, is probably what drives Germany's disproportionately high rate of bicycle ridership. In the US, the average income of Rail Transit riders is well above average, but the average income of Bus riders is low, which is a sign that at least the Bus services routes are targeted where poorer people can use them - and of course there is not the punitive cost of driving that applies in Germany. This punitive cost to driving has the further perverse consequence that many of the high-income riders of mass Transit are effectively incentivised to make a lifestyle choice by which they get cheap, heavily subsidised transport and avoid the punitively high cost of driving. This perverse consequence does not apply in the USA, hence there are very few higher income earners included in the mass Transit figures outside of Manhattan and the high-earning city cores in Chicago and Washington and a few other cities. Submitted by Lee on Tue, 01/15/2013 - 10:36. Oh my gosh you are so right Sir. The quasi environmentalists are pushing the bike thing as anti car anti sprawl solutions when cars are cleaner than ever. In Pottstown, PA they have bike marked shoulders on busy roads and offer a bike sharing program, in one of the hilliest little lower income (formerly middle to high middle) towns in the area. I have yet to see a single person on a bike, even on a bike of their own. Kids sure. All of the new asian immigrants I believe mostly from India drive little fuel efficient cars and good for them! That was such a good point about how Japan exports helped the middle and lower income classes here be able to live someplace with a backyard or more bucolic and still get to work in a metro area. As it should be, even if the megaregion urban planners despise the "ugly" burbs. I do not think they are ugly and strip malls are getting cuter and cuter, or they are empty because of the downturn. Progressives are running all of SE PA's commissions and they love bikes and trails, and again we are in one very hilly inhospitable area for riding bikes anywhere, even on a trail! What business woman is going to ride a bike to work??? None, but the towns are being guilted into spending our taxes on these silly initiatives because they are keeping up with the high faluting township next door, it is competitive! Submitted by hcat on Mon, 12/31/2012 - 18:15. I will confess that Willy Wonka reminded me of something rather different. In Perry, Iowa, and other such places, the pork packing plant shut down and then reopened hiring illiterate Central Americans and Somalis at one third the former wages. When I saw the Oompa Loompas, I thought of these Midwestern immigrants. Mr. Wonka provided few jobs for the existing residents of his town. So did Tyson, which took over from Oscar Mayer.